After a trip around the Click Ponds this morning, I decided to make one quick loop through the wetlands. 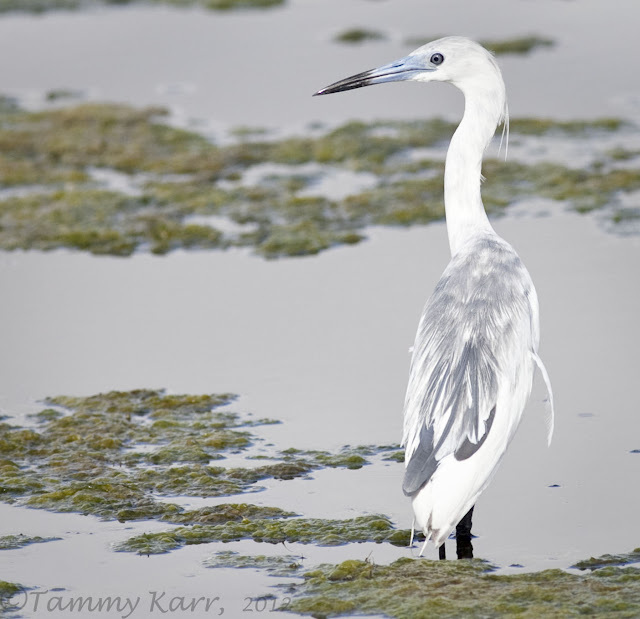 We came across our regular egrets, herons, Grackles, Coots, etc. We saw about a dozen Black-bellied Whistling Ducks occupying the tops of dead Palm trees. As I drove along, a small group of Coots huddled together caught my eye as I noticed one cinnamon colored duck standing out among the crowd. 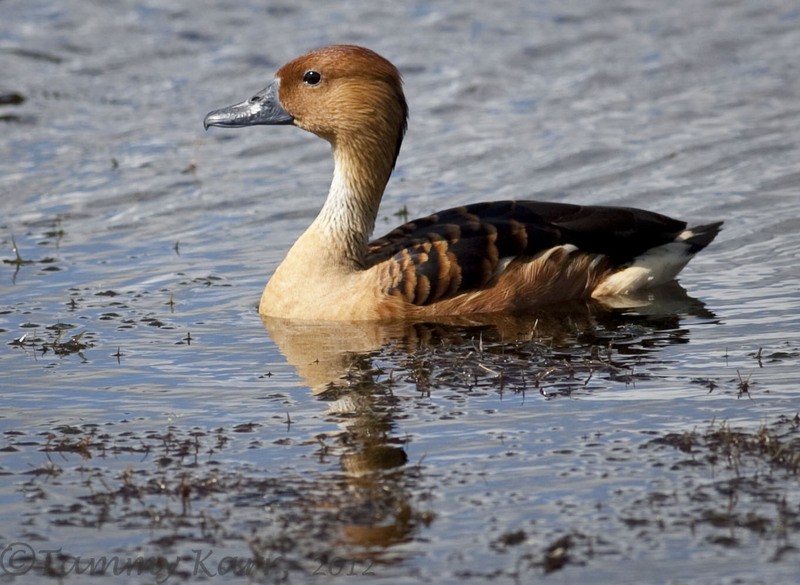 I stopped to get a better look and was surprised to see this lone Fulvous Whistling-Duck, a new life bird for me! 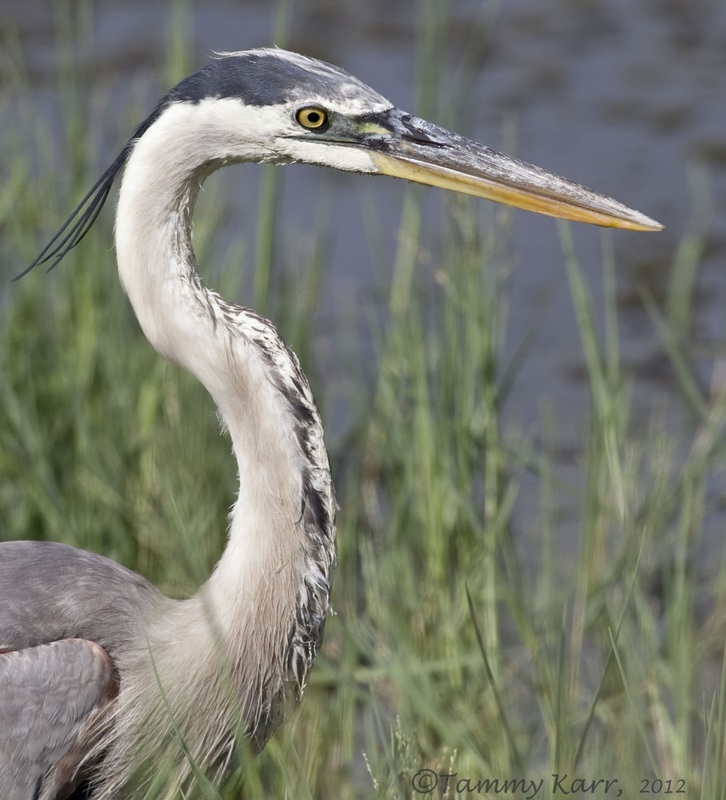 Little Blue Herons are actually pure white their first year, then change to their dark blue, adult plumage. I saw two Little Blues in the process of this transformation at the Click Ponds. I also saw 5 Green Herons in various sections of the ponds. This guy was posing nicely; if only the reeds could have cooperated! This Great Blue walked about 5 feet in front of me as I sat in the grass watching the Green Heron. 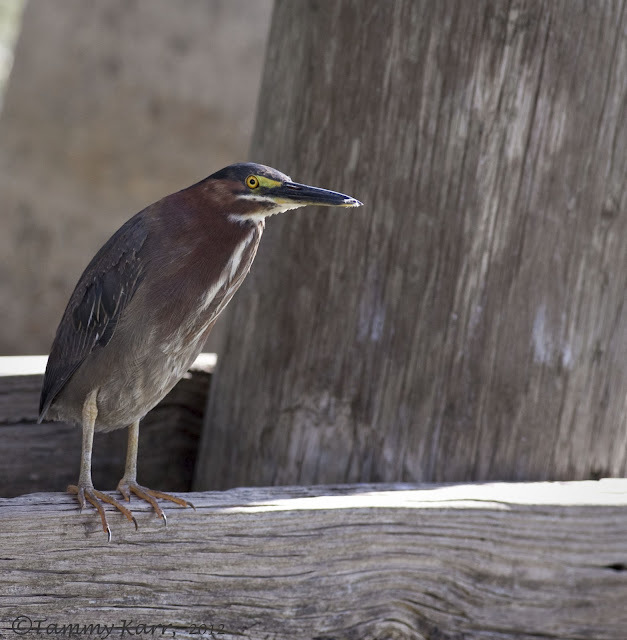 There is a pumping station at the ponds and the Green Heron tend to congregate beneath the structure. GREEN with envy you got to see a fulvous!!! totally in awe of your green heron shots, too!!! I've been wondering how often Fulvous Whistling Ducks come up, since I didn't recall seeing them on your or Scott Simmon's blogs. Great photos here, a super lead into the weekend. They are all gorgeous captures, Tammy.. especially the Fulvous Whistling-Duck. What a wonderful moment that must have been for you. The Green Heron, a bird I have luckily seen in the uk, very very rare here. Great shots as ever. Well done on adding another lifer Tammy! Have to agree with Marc, great shots,as ever! Preciosas fotos Tammy. Son como nuestras garzas y martinetes. Wow! Fantastic shots! You never know when you will get something new and wonderful! Congrats on the lifer Tammy! Lovely images too! Congratulations on your sighting and photo! It's a beautiful duck! The Little Blue Heron is gorgeous! I've never seen an immature. Love the Green Heron, too. We have them here, but they're extremely difficult to find. Que buenas capturas, Tammy, todo un lujo de imagenes, muy propias para una revista de naturaleza. Great shots. Great blog too. Greetings. Another great series of shots. 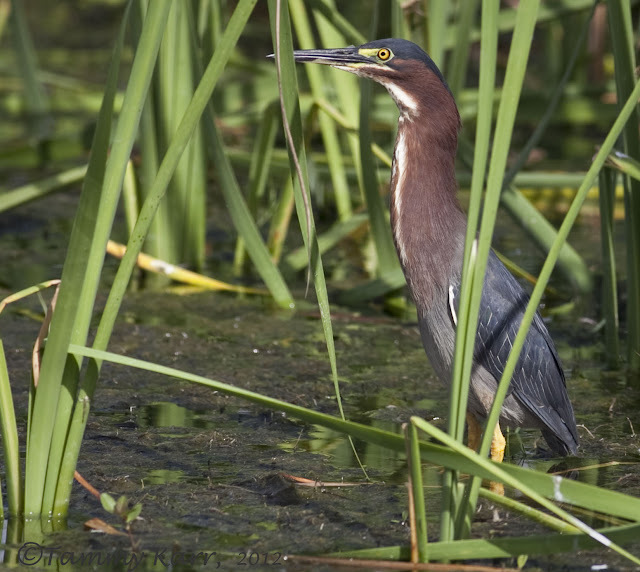 I think the reeds actually add to the Green Heron shot, nicely done! Perfect, the Green Heron is my favourite, superb. The variety of birds where you live is amazing! Your pictures are stunning as usual and each has a story to tell! Have a great WE Tammy! Ooh congrats on the lifer! That young Little Blue is stunning... Amazing photo! A lovely heron feast Tammy. Lovely photographs. Great captures. The Fulvous Whistling-Duck is beautiful and so is the Green Heron. Congrats on the lifer! Awesome photos as always. Very exciting outing and fantastic pics to boot. love that green heron, we have some here but I can't find them! !